Summer showers quickly turning to freezing rain, ice, and snow: like it or not winter in Michigan is just around the corner. As it turns out the changing elements, temperatures, and falling leaves are not the only things ‘falling’. 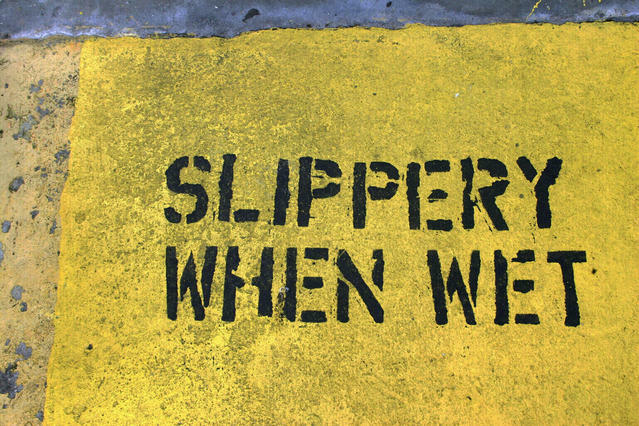 Slip and fall accidents are in fact one of the leading causes of ER visits each year. 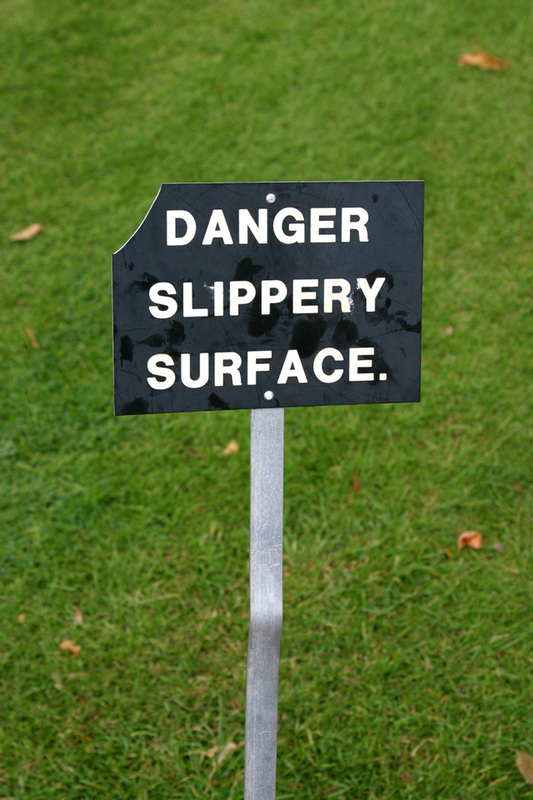 In Michigan a slip and fall accident is a type of premises liability claim. Please note; common law and codified law (statute) both apply to premises liability. Under common law a landowner owes a duty to both invitees, and licensees. By statute it only extends to tenants. In one of my most recent case’s, I was in fact successful in arguing this very issue thus getting them to reverse the Oakland County Circuit Court’s denial of my case, and remand it for further proceedings. In Michigan, premises liability arises from conditions of the premises under the defendant’s control, while general negligence stems from conduct of the defendant.” Sounds easy enough? Well, not entirely – a proprietor may only have the duty to protect a resident of dangerous known conditions. A property owner has/ very little responsibility or duty to those who maybe deemed ‘trespassing’. Have you or someone you know fallen as a result of unsafe conditions at a retail store or other public facility? First and foremost, report the incident to a store manager or other personnel immediately following the incident. A written report should be taken and include the date, time of injury, condition of the fallen, name(s) of witness (es), and if necessary a photograph of the incident conditions. Injury – to be successful in a slip and fall claim there must be evidence of injury typically confirmed by a physician or other medical personnel. Causation – what was the cause of the incident? One must prove the dangerous conditions were in fact the ‘cause’ of the fall. Bear in mind obvious conditions known to the individual might be reasonably assumed to be deemed ‘dangerous’ and therefore, leaving little to no duty and/or responsibility of the storeowner to protect the individual. The sooner the better one hires an experienced Michigan premises liability lawyer to represent, and investigate the nature of his/her claim as ‘proof of fault’ the better as evidence of such claims tends to disappear soon after the accident. Negligence – under Michigan law it must be proven that the property owner was in fact negligent in correcting an unsafe condition. Did the property owner embrace the opportunity to correct the problem or warn its customers/visitors? The law permits a reasonable amount of time to correct a dangerous condition thus, not requiring the property owner to immediately fix a hazardous condition. A property owner may attempt to use such a legal claim as the “open and obvious” to avoid such negligence claims. Purpose – what was the purpose behind the injured individual being on the premises? Invitee – a business owner or landlord is required to maintain high level of care, protection, and safety to its customers, clients, and/or tenants. The owner must not only warn an ‘invitee’ of potential dangers but, must also regularly inspect/evaluate the premises. Licensee – is the individual a social guest not on the premises for business related, financial, or economic gain? Then, the property owner need only warn a visitor of potential dangers. There is a lesser duty of responsibility to a “licensee” than an “invitee”. Trespasser – a person who does not have permission to be on the property is deemed a ‘trespasser’ therefore, leaving the property owner little to no responsibility unless the ‘trespasser’ is a child. Under no circumstances can a property owner trap or intentionally cause harm/injury to a trespasser. There are strict statutes of limitations for filing such premises lawsuits in Michigan. If you or a loved one has been injured from a slip and fall accident contact Corriveau Law to discuss all the elements of your claim today.